It doesn’t show. 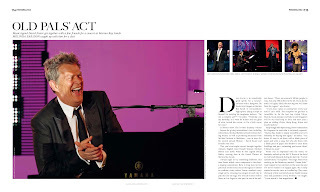 The 16-time Grammy winner – famous for giving international stars including Celine Dion, Michael Bublé and Josh Groban their big breaks, as well as producing musicians from Michael Jackson to Madonna – was in town for his second annual Hitman – David Foster and Friends Asia Tour. Click here to read the full article, which first appeared in the Fall 2011 edition of Sands Style.